Ministry of Women & Child Development Has Opening Application Form For 04 Senior Consultant. All Eligible Student Candidates Are Required To check Eligibility details for Ministry of Women & Child Development Job Advertisement and Apply Offline Before On Last Date 10-10-2016. All Candidates Student Who Are Applying Ministry of Women & Child Development Recruitment 2016 For 04 Senior Consultant, Should Check Vacancy Details Like - Educational Qualifications And Experiences Requirement, Exam Pattern, Syllabus, Age Limit, Selection Criteria, Admit Card, Results, Exam Date, Before Applying. Salary And GradePay :- INR Rs. 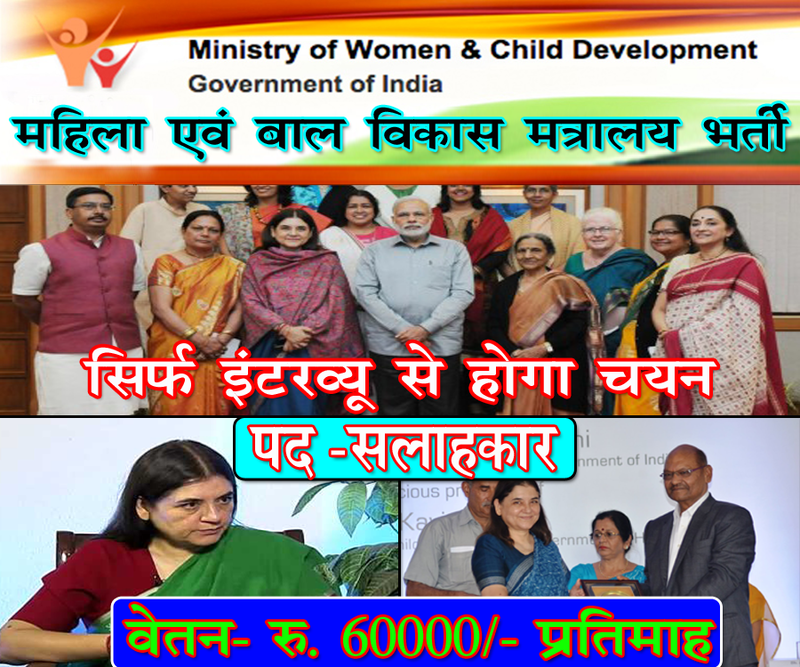 Rs.60000/-. How To Apply :- All Eligible Student Need To Download application Form through official website http://wcd.nic.in. After Filling The application form, candidate must send hard copy of application along with relevant testimonials (Mentioned In Detailed Advertisement) to the following Address before or Last Date 10-10-2016. Last Date :-Last Date for Receiving of Online Application Form Is: 10-10-2016 .